Discovery, Picard...and now CBS All Access has announced that Mike McMahan will be helming Lower Decks, the next Star Trek series to boldly go in the Kurtzman era. But what makes this any different from the multitude of series before it? 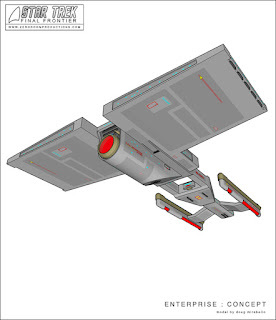 Well this one won't be live action and for the first time since 1974 we'll be seeing an animated Star Trek. The title itself might also suggest where this is going to be set - away from the bridge and senior staff just as we experienced with the classic The Next Generation episode of the same name. Press for the show has confirmed that it has been ordered for two series and will focus on the support staff of a particularly unimportant starship - and it's going to be a comedy. It will be produced by CBS Eye Animation along with (of course) Alex Kurtzman's Secret Hideout and Roddenberry Entertainment. My affinity for Star Trek's lighter moments is not well publicised - because it don't exist - so I'm quite unsettle by this announcement today. 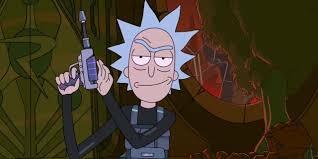 What does sway in it's favour is that Mike McMahan was responsible for the @TNG_S8 Twitter account and the subsequent Warped book which was a mighty good read and also the rather excellent Rick and Morty TV series. It does suggest that there's going to be a top level of quality plus a creative mind that knows its Star Trek which does give me hope. Star Trek's history with animation is limited to its brief dalliance in the mid-70's which saw the original cast (except Walter Koenig) reprise their roles vocally. The results were mixed with one highlight certainly being the time-travelling Yesteryear that filled in some of Spock's backstory as well as the first mention of Tiberius as Kirk's middle name and even the appearance of the Enterprise's first commanding officer Robert April. Now the original animated run was not considered part of canon which might suggest this will also be held outside of the timeline but at this stage we don't even know what point in the Star Trek universe it will even be set. My guess is that it will be in the 24th Century with McMahan's previous works being set in that time period rather than adding anything else into the 23rd Century. I am really looking forward to seeing what kind of characters, ships and adventures we're in for although the comedy element still sits tapping away for attention on my shoulder annoyingly. Have a look back through Star Trek history and there have been a few attempts to resurrect Star Trek as an animated series. Final Frontier was one example that could have made it in the post-Enterprise pre-Kelvin universe with Captain Alexander Chase and his crew facing off against the Klingons in the far future where the Federation has crumbled following war with the Romulans. It piqued CBS's interest but a certain 2009 film stopped it dead in its tracks which is a shame because there's a whole host of characters developed and a lot of great material available at the developers' website. Go take a look, there's scripts an' everything! A second could have been a Captain Sulu series on the Enterprise-B battling the Kzinti (ironically a baddie from The Animated Series in the '70's) but again nothing really happened and details are a a little slim on this one. A third might have come from Kurtzman and Orci off the back of the 2009 reboot but allegedly it was early in the game and securing the movie series was the first thing that needed to be done before Star Trek could spread its wings wider. Other question - will this mean we are at peak Star Trek saturation? Will the quality here wain because there will be three shows - each with a very distinct personality - but they will be running concurrently and it'll be the first time three such stories will be on air at the same time. The nearest it's been to this was the year in which we had Voyager, Deep Space Nine and First Contact being made. Personally I'd LOVE to see it set in that missing era between Generations (Kirk era) and Encounter at Farpoint - retro, filled with movie era uniforms, chunky starships, armoured up Klingons and all aboard something really small like a Sydney Class or an Oberth Class ship. Could this be the crew going in to "clean up" after the "big boys" have been in and completed first contact? I think that would be a great line to take. 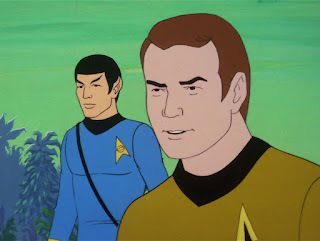 But now we have confirmation that an animated Star Trek series is not too far away - certainly closer than 1973-74 and means that there are now two shows in pre-production to get excited about. 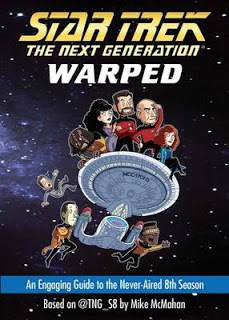 Let's hope that it stays strictly in the Star Trek mould however with a sprinkling of humour in there to lighten the tone and make it more accessible to a younger audience. This could be the start of something even bigger and I think if this is done right then there's a whole truckload of merchandise that could be coming off the back of it. What would you want to see from a more humourous Star Trek? Let us know below and like and share to spread the SKoST word!